Click the above "CONTACT" button to book a tour or ask questions. 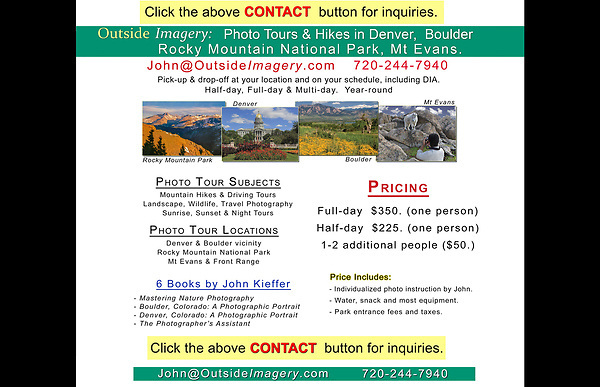 John Kieffer and Outside Imagery LLC offer photo tours, workshops and lectures. Locations include, but not limited to: Boulder, Denver, Rocky Mountain National Park, Mt Evans, Indian Peaks Wilderness and more. Boulder tours.